Craving pasta? 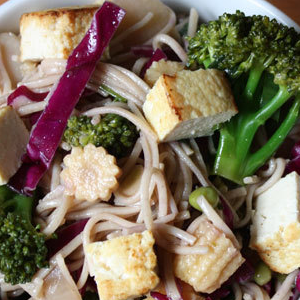 Try this dish of soba noodles and veggies. Combine soy sauce, honey, orange juice, vinegar, ginger, and oil in a small bowl; whisk to blend. Set aside. Add tofu; cook, stirring frequently, for 5 minutes on each side, or until golden. Remove from heat. 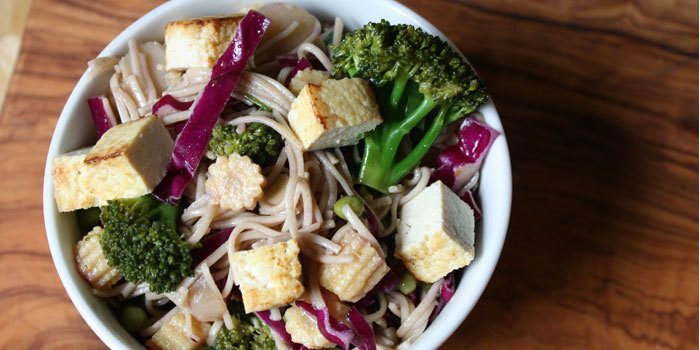 Add tofu, broccoli, peas, corn, water chestnuts, cabbage, green onions, and dressing to noodles; toss gently to blend. 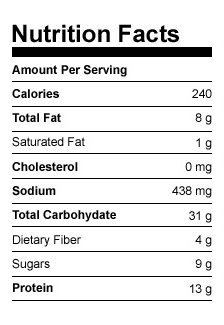 Divide evenly among six serving plates.